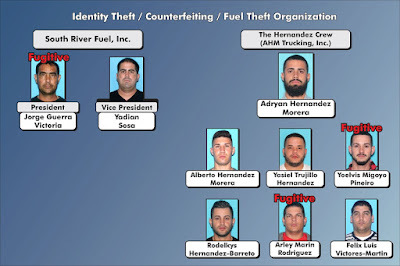 11 men have been arrested for their roles in a credit card/fuel theft ring in Miami-Dade County. 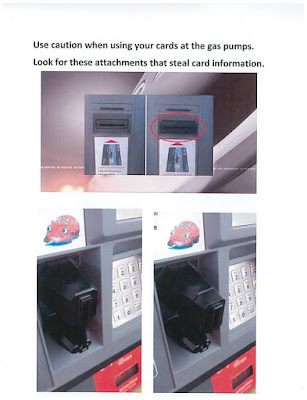 Scammers skimmed credit card numbers. 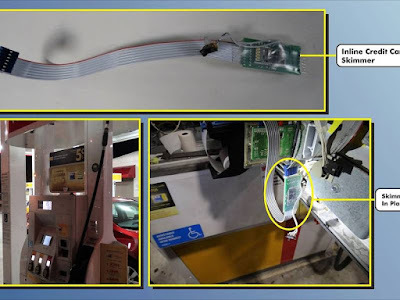 Those numbers were then placed on false gift and credit cards to purchase fuel which was then sold. The men converted a variety of vehicles to hide stolen fuel, including a bus in which the seats had been removed to accommodate large fuel bladders. Three men have been charged with multiple counts, including racketeering, conspiring to racketeer, scheme to defraud, obtaining fuel fraudulently, forgery of a credit card, and fraudulent use of a credit card. 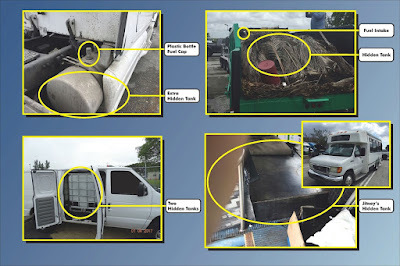 Adryan Hernandez Morera, of AHM Trucking Inc., would then use counterfeit cards to purchase gasoline, which they would store in bladder fuel tanks that were outfitted inside trucks, vans and buses. The fuel would then be sold to South River Fuel. Inc., which is run by Jorge Guerra Victoria. During an eight-month period the scheme resulted in about $98,000 worth of fraudulent gas purchases a month. Hernandez is currently facing a bond set at $3.2m with Jorge Guerra Victoria facing a $1.55 million bond.